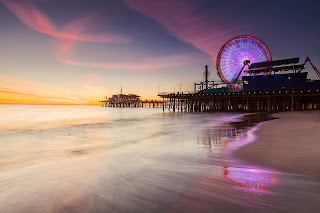 Santa Monica is one of the most fascinating and beautiful places in Los Angeles. The city is located on the Westside of Los Angeles between Santa Monica bay and Los Angeles, and covers approximately 8.3 square miles. The city is ideal for investing in commercial real estate because of the following factors. Santa Monica does not only offer a home but also provides a good public school system, a vibrant commercial district and friendly neighboring residential communities. The city is a popular international destination for tourists due to its wide, pristine and sandy beaches. Moreover, the city offers many attractions such as Third Street Promenade, Main Street, The Santa Monica pier and the Montana Avenue. The city is experiencing rapid construction and renovation, an indication that investors have realized the stability of the affluent city’s residential, commercial and tourist environment. The city’s commercial real estate and residential properties are growing and thriving day by day. Some of the recent constructions and renovations in the city include public parking lots, public schools, new hotels, new condominiums, new apartment building projects and the renovation of Santa Monica pier. The city is located near Pacific Palisades and Venice making it accessible. In the 1900s, the city was mainly a tourist attraction. Currently, Santa Monica is a prosperous upscale sea city full of commercial real estate and residential developments. The expected development of a Metro Rail train line by 2016 has caused a rush in commercial real estate development. The rail train line, upon completion, will connect downtown Los Angeles and Santa Maria. The rail line will enhance transport in the region. Some of the developments that signal Santa Monica’s growth include the $350 million complex known as The Village at Santa Monica, Santa Monica Pier Improvement Project, Santa Monica Civic Auditorium and the twin six-storied Courtyard by Marriot Hotels. The construction of The Village at Santa Monica is a sign that commercial real estate in Santa Monica is thawing. The multi-million project will be located on Ocean Avenue on a 3-acre piece of land. Upon completion, the project will offer affordable apartments and deluxe condominiums. Despite the high cost of financing condominiums, the developers received massive support from financiers because Santa Monica is home to some of the most desirable commercial real estate in the region. The Village will host 158 condominiums, 160 apartments and numerous shops and restaurants. Plans and construction are underway for the development of Palisades Garden Walk and Town Square. The $55-million project is on a 7-acre piece of land and aims at connecting Ocean Avenue and City Hall. These developments highlight the feasibility of commercial real estate in Santa Monica. The city is experiencing rapid growth in commercial real estate. The growth surpasses the sluggish and ragged comeback occurring in numerous regions of Southern California. The office vacancy rate in the city is very minimal compared to the county’s average. Investing in commercial real estate in Santa Maria is the best decision an investor can make because the rent charged on properties is among the highest in the state. Santa Maria is an ideal place for investing in real estate because the city has a friendly community, a stable tourist, commercial and residential environment, fascinating seaside atmosphere and a good public schools system.